Whether you are just visiting to have fun, settling in Texas or whatever your reasons are, changing your address or redirecting your mail can be a devastating process especially if you are always waiting for important mail items that you need to take care of without any delay. If your postal mail is always a headache, forwarding mail to Texas whether in Austin or Houston is the answer. You will visit your family, move from one place to another and at the same time, easily check, and forward your postal mail to any destination. God bless good neighbors and friends. Of course, you can always give money to your neighbors and friends to take care of any items that you may want to forward but that includes having to call them and ask whether they received anything or whether anything is worth forwarding. And sometimes, you get the unwelcome “Ooops, I forgot to check your mail” or “I can’t go to post office anytime soon”. 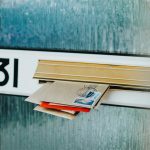 Whatever it is, your postal mail is not the responsibility of your neighbors who might as well not be around to take care of it for you. Are you the Unlucky One? Your neighbors actually forwarded your mail. You are currently in Austin but by the time your items reach Austin, you already left for Dallas. What a lucky person you are. Now, you can either forget about your items and get them later, which is not why you asked to have them forwarded in the first place or ask your relatives to forward them again. If you want to relax, calling and worrying about your mail is definitely not what you are expecting from your visit to Texas. 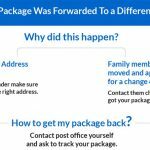 You can also use USPS Texas mail forwarding but the problem with USPS is that you can’t forward items to more than one address and if your trip is less than two weeks, they do not forward items, so they can hold your mail. They also have some restrictions about package forwarding. It all depends on the length of your trip. Don’t complicate your life with USPS’ unnecessary mail forwarding details and get yourself a US virtual mailbox. As for virtual mail forwarding. Nowadays, everyone has gone virtual, so why shouldn’t you? Internet has made the world connected in a way that you never imagined possible. With the help of scanning devices, you can easily access your mail online just like email. Sign up and get a virtual address. 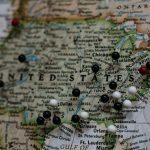 All your items will be sent to the address you picked and a team of experts will scan your mail and package covers and send you online notifications wherever you are in Texas, in the US or anywhere in the world. 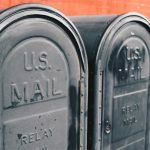 You can check items you received in your mailbox online and also ask virtual mail service providers to scan the contents of any given letter, so you can read it online through any web-connected device. And forward items that really matter to any address you pick through your online account. 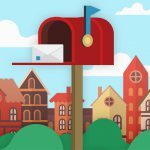 When you register for an online mail forwarding Texas service, get a virtual street address and that will spare you the limitations of a PO Box. You can ship all items to a street address without any restrictions regarding package size.A virtual street address guarantees that you will shop til you drop. 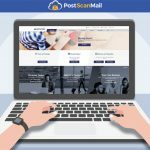 PostScan Mail’s mail redirection and forwarding service is a great way to handle your mail without unnecessary trips to the post office. With PostScan Mail’s virtual mail services, you are always aware where your items are because through your account, you can not only check your mail but also track your packages. 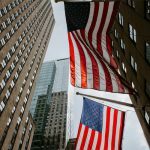 PostScan Mail provides mail forwarding to all the states including California, Nevada, or New York.